One of the things that distinguishes "separatist" gay movies from those that are more inclusive is the moviemakers' refusal to broaden their canvas to reach farther than an all-GLBT/all-the-time cast of characters and concerns. This "all gay, please!" approach, when done well, can certainly provide some fun, but often it makes for a rather circumscribed world. 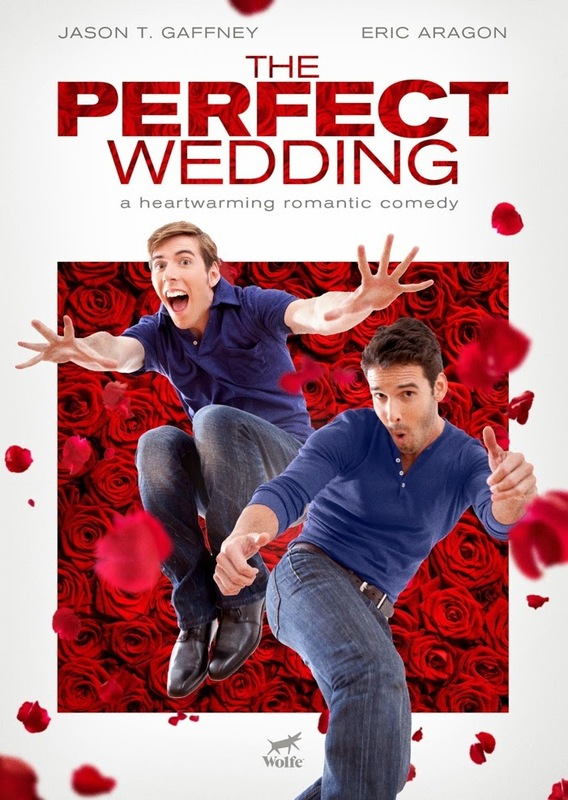 One of the lovely things about THE PERFECT WEDDING, the 2012 film from first-time/full-length director Scott Gabriel and screenwriters Ed Gaffney, Jason T. Gaffney and Suzanne Brockmann, is how geuinely concerned it seems with almost all of its characters, gay, straight, white, black, old, young, and so forth. In fact, the titular wedding involves a young woman intent on pleasing her parents, and her male fiance whose is willing to do whatever it takes to give everyone what they want. 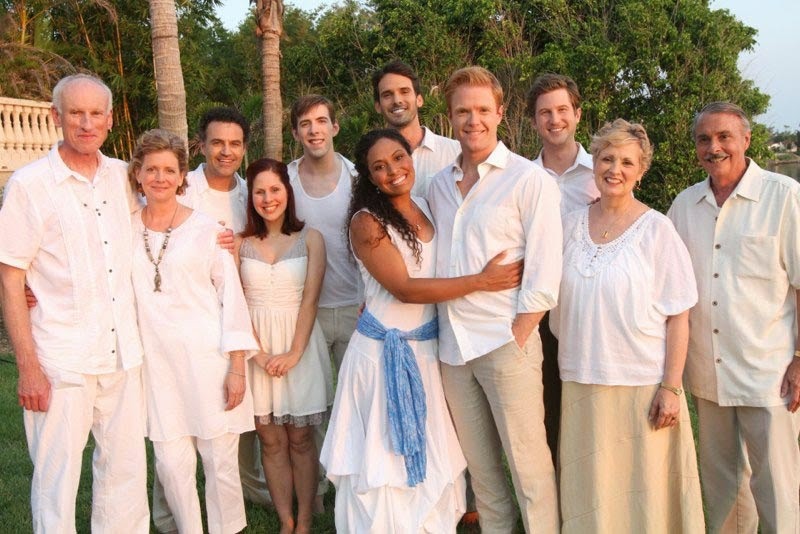 It's the bride's gay brother, an on-the-wagon alcoholic (played by the handsome/ hunky Eric Aragon, right), his former lover, and that lover's good friend -- all of whom show up at the family's Florida mansion -- who end up being the center of attention here. 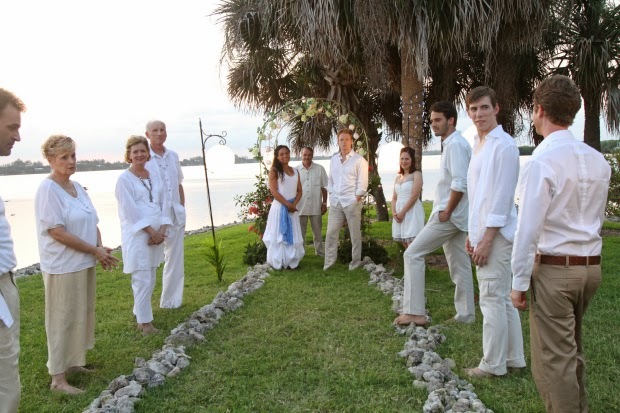 Yet their carryings-on never detract from the concerns of the bride and groom nor from the siblings' parents, all of whom are pictured rather fully and warmly in this surprisingly sweet movie that wants to play fair by all its characters. It does this, too, and in the process provides some genuine romance, comedy and charm. 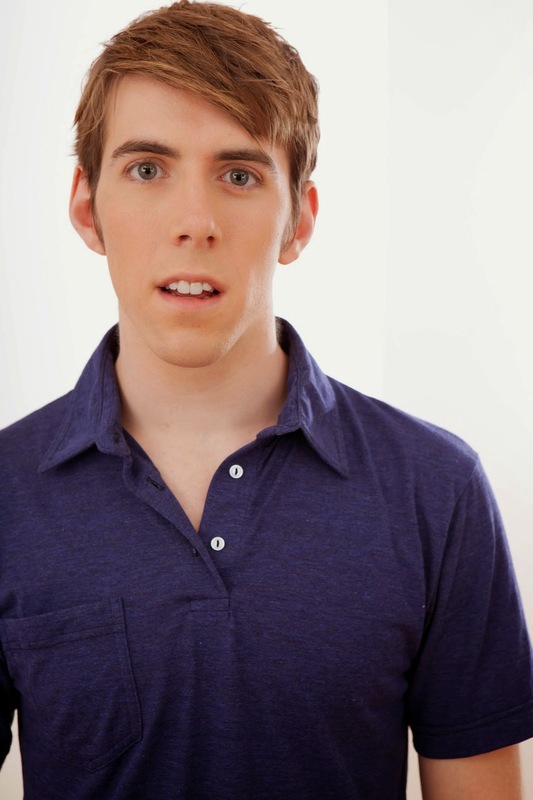 The ex-lover's friend, who accompanies him to the festivities, and who -- for purposes of plotting and drama -- must pretend to be the ex's current lover, is played by one of the screenwriters, Jason T. Gaffney. As an actor, Mr. Gaffney (at left) possesses an appealingly goofy quality that, together with his own good looks and talent, makes him more than a fine foil for Mr. Aragon. How the movie first brings the two together via a game of charades proves an original and smart addition to the rom-com canon. The film also handles its various inquiries -- into AA, the problems of pretense, and who, finally, a wedding is really for (the participants or their parents) -- with directness and intelligence. In the large and talented cast (above), the biggest name in undoubtedly that of the late James Rebhorn (far left), a very good actor who only recently left us. Rebhorn does a lovely job in this, playing one of his sweetest and kindest roles. Via its genuiness and simplicity, The Perfect Wedding, at 82 minutes, manages to entertain, make us think a bit, and finally becomes a joyous five-hankie movie about doing the right thing. You can view it now via Netflix streaming -- and elsewhere.